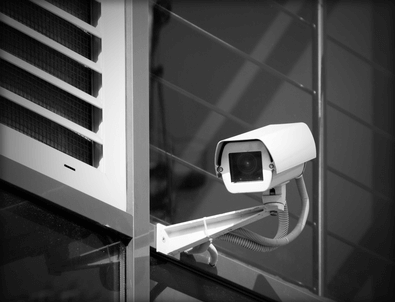 Video surveillance continues to rise in frequency and numbers across the globe. Government agencies, institutional organizations and privately-owned corporations are increasing the use of surveillance cameras, and the use of video cameras in private investigations is on the upswing as well. A new study by IMS Research finds that tremendous growth is forecast for the wireless infrastructure market in place to support video surveillance applications. With demand for low-priced video surveillance systems coming from China and India, IMS expects revenues to soar to $705 million by 2017. That's a 160 percent increase from the nearly $275 million recorded in 2011. In the US, video surveillance work is taking shape in a stunning amount of video security cameras in the streets, and low-cost tech gadgets and tools in the hands of private investigators for their surveillance work. As an example of the video camera saturated urban centers in the US now, CNN reports that there are about 4,000 video surveillance security cameras and license plate readers south of Canal Street in Lower Manhattan, NYC. It's part of the overall Lower Manhattan Security Initiative (LMSI), which calculates the number of feeds from open public security cameras, as well as private cameras. These are monitored by the New York police department regularly 24-7. For private investigations, video is still a key element in most cases. Armed with small HD video cameras, many private detectives use various covert observation techniques to learn about their subjects. The initial steps should include authenticating your video with a date and time stamp as a starting point. It's essential to know dates and times when using video surveillance. Use the video to show the location and position of the surveillance, to capture footage that shows entry and exit roads, busy street intersections and more. Having the coordinates of the stakeout position helps with the video construct. For location video surveillance, this could be the hardest part of the role of the private investigator. Staged surveillance operations may involve a different video set up, but waiting for the target to emerge from a house or building can take a lot of waiting. Vigilance is key. Be prepared to follow in car, by foot, taxis, subways trains or other transportation. Do what it takes to get the video you need, making sure to maintain a steady hand and a professional look. Video surveillance is only as good as the lack of detection. Once the target is aware of a pursuing video camera, the person will likely go to great lengths to maneuver out of the situation. PIs should keep in mind that video surveillance and video security camera laws vary by state. Always make sure you check with the laws in your county and state before taking on a surveillance case. Zoe Hudson has a background in law enforcement and weapons. She teaches gun safety courses and enjoys writing about this and other topics.